The Wellspring Pancreatic Cancer Peer Support program has been developed by Wellspring in collaboration with Pancreatic Cancer Canada. The program is intended to provide support to individuals who have pancreatic cancer, and their caregivers. The information provided by participants when requesting an appointment (e.g. name, contact information, appointment preferences, support needs). Information recorded by Wellspring staff, volunteers, or short term counsellors about appointment(s) (e.g. appointment information, such as date, whether by phone, online or in-person; a summary of topics discussed; referrals to other Wellspring programs or community resources). Participants’ feedback about the program that will be requested by emailing a survey to participants and by contacting participants to ask if they will participate in an interview, both of which are voluntary. Wellspring delivers the Pancreatic Peer Support program and collects the data independently of Pancreatic Cancer Canada. Wellspring will not share individual personal information with anyone, including Pancreatic Cancer Canada, and will keep it strictly confidential. After removing any identifying information, the information will be pooled with the information of other participants and this pooled data will be summarized. Some of these summaries will be made available to Pancreatic Cancer Canada. 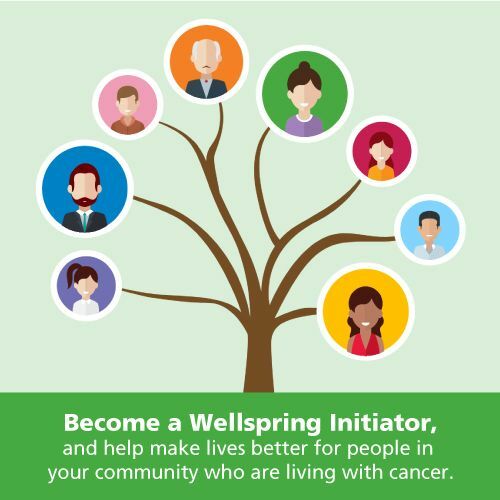 Participation in the Wellspring Pancreatic Cancer Peer Support program and the collection of personal information for the evaluation of the program is voluntary, as is participation in any other program or service offered at Wellspring.